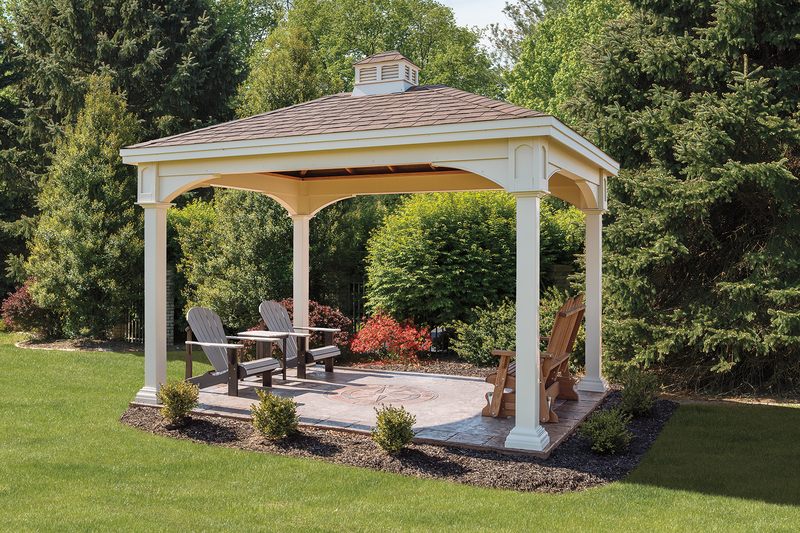 With it's distinctive recessed panel posts, header trim, and corner braces, our Manchester Pavilion design brings elegance and distinction to any backyard. 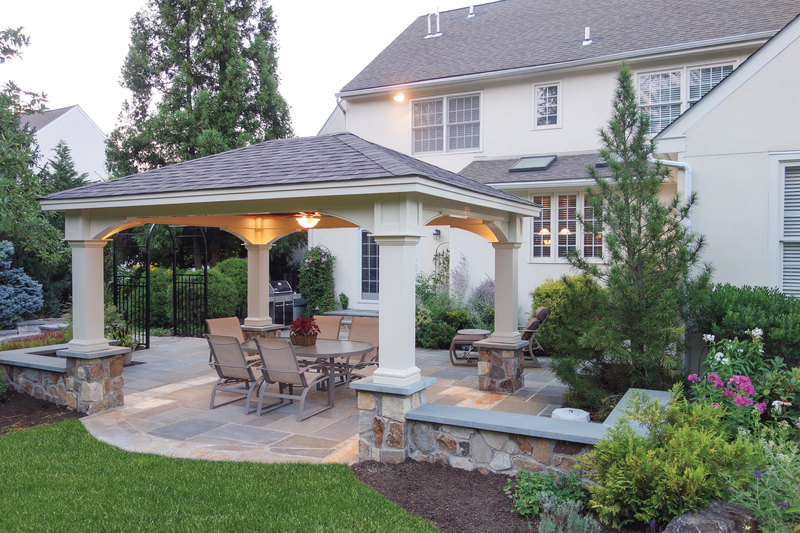 Transform your yard into the ultimate outdoor living oasis with the perfect pavilion. 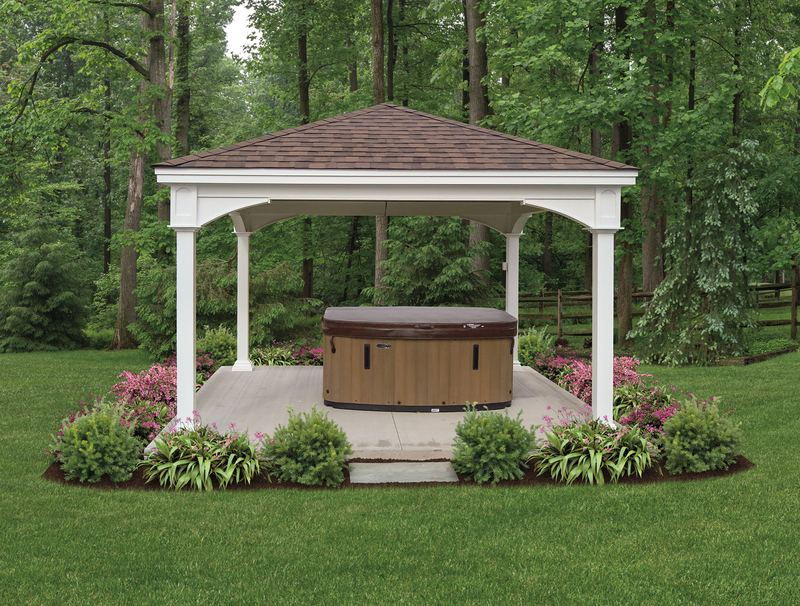 The Manchester comes with plenty of options, from vinyl and shingle color, roof type, cuploa, electrical package, and more. 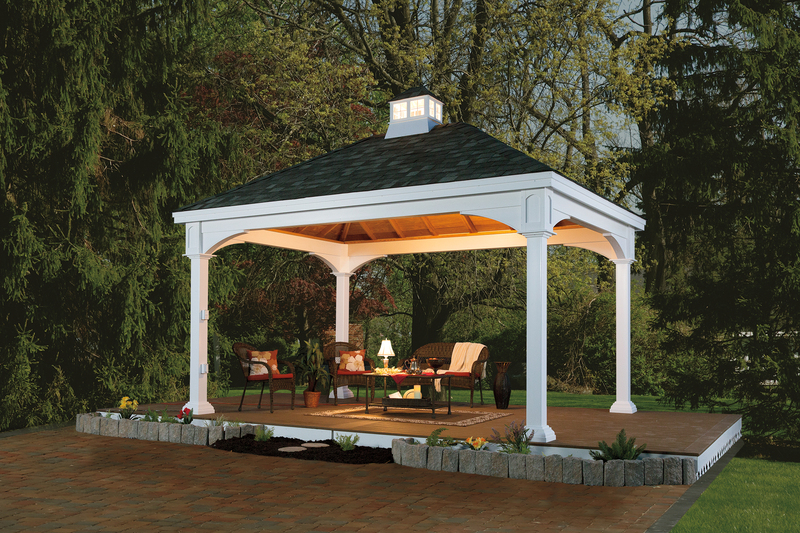 Enjoy dinner outdoors on your brand new pavilion or use it as a place for your spa or hot tub. 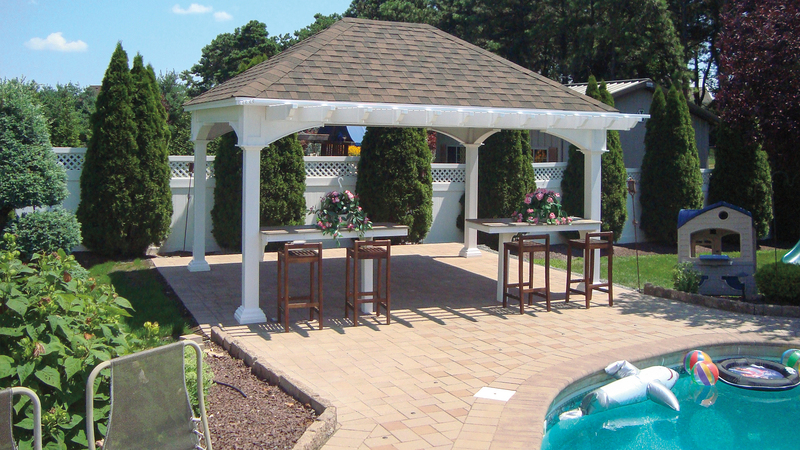 It also makes a great poolside pavilion to give your guests a little shade on a sunny day. 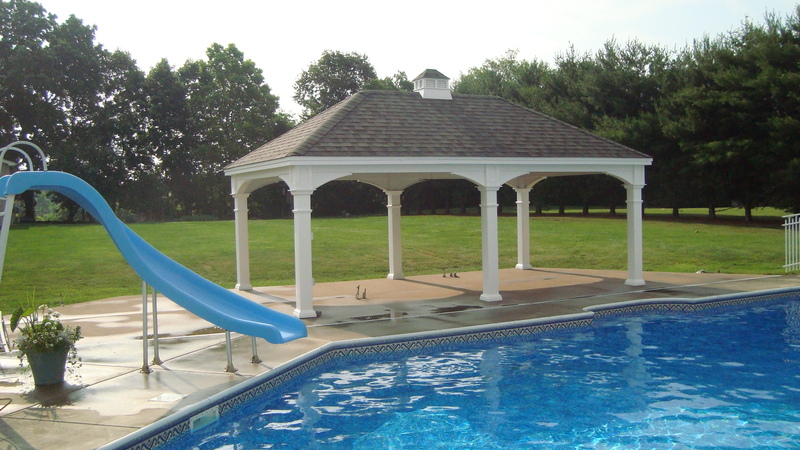 We can customize your Manchester pavilion kit to fit your needs and assemble it on-site for you. If you'd like a pavilion with with floor, we can deliver and install it fully assembled. Looking for a solution that allows you to use your outdoor space all year long? 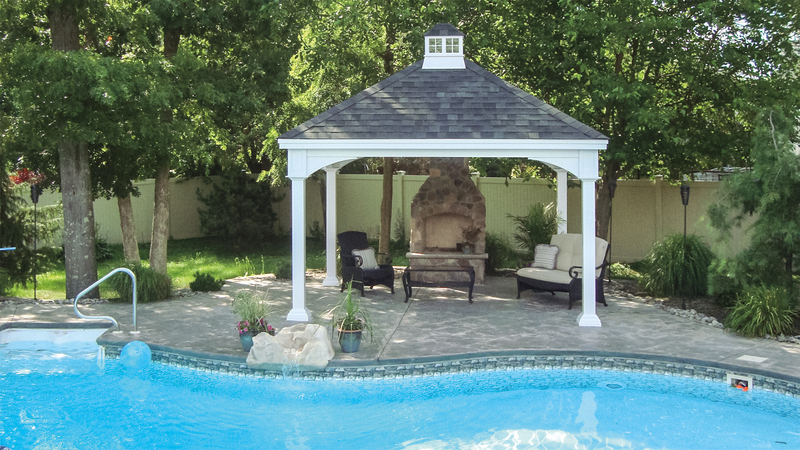 Our custom backyard pavilions allow you to add a fireplace or firepit to the design of your pavilion to keep you comfortable all year round. If you're ready to talk design and pricing, give us a call at 877-272-7252 or fill out the form here to request more info or get an estimate! 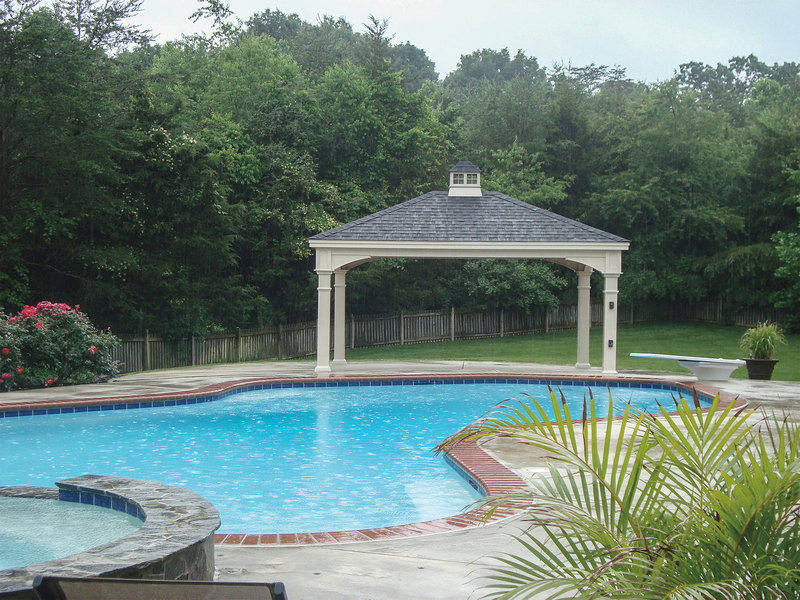 "We decided to put together a space for our family to engage the exterior with the interior. The process of creating our Pavilion began with taking the natural elements of the Shore combined with the elements of the main Home. Homestead was able to find everything we needed from Stone to Cedar Wood Ceiling to all Appliances to Stone Counter Tops to Slate Roof, whatever we wanted, they said we can find that for you, and they did!" We are fantastic! We had family parties the whole weekend and everyone just loved the new pavilion. We were so pleased with all the hard work and the great job you guys did for us! We couldn't be happier. You and your crew were wonderful to work with would reccommend you to anyone!"